WASHINGTON: Nasa's boss on Tuesday marked India's destruction of one of its satellites a "terrible thing" that had created 400 pieces of orbital remains and led to new dangers for astronauts aboard the international space station. 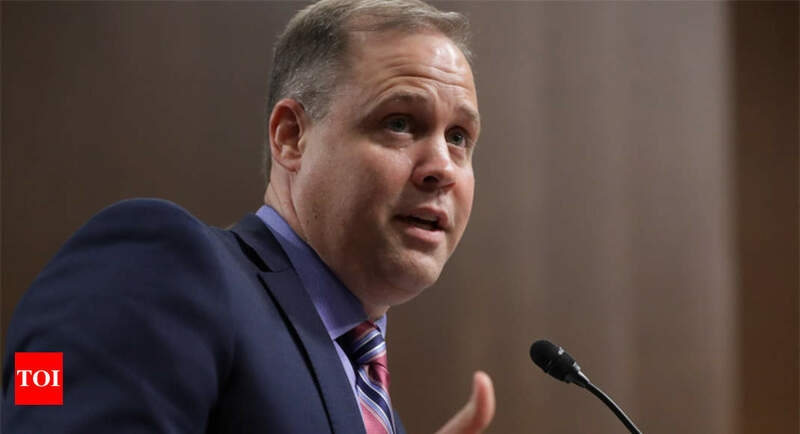 Jim Bridenstine addressed National Aeronautics and Space Administration employees five days after India shot down a low-lying satellite in a missile test to prove it was among the world's advanced room powers. 1; about 60 pieces have been tracked." The Indian satellite was destroyed at a relatively low altitude of 180 miles (300 kilometers), far below the ISS and most orbiting satellites. But 24 of the pieces "go over the apogee of the international space station," said Bridenstine. "It's a terrible, horrible thing to create an event that sends debris on an apogee that goes over the international space station," he continued, adding: "That kind of activity is not compatible with the future of human spaceflight." "It is unacceptable, and Nasa must be very aware of what its impact is on us." The US military traces objects in space to predict the collision risk of ISS and satellites. Currently, they track 23,000 objects larger than 10 centimeters. It includes about 10,000 pieces of space waste, of which nearly 3,000 were created by a single event: a Chinese antitatellite in 2007 at 530 miles from the surface. But the risk will disappear over time, so much of the waste will burn up when it enters the atmosphere.